Winter is cool but it is cold and dry. Travel during winter needs plenty of preparation before set off to your holiday, even before your flight boarding. Let’s be honest, cold weather doesn’t do your skin any favors. Besides your valid travel document such as visa and passport, you might need to additionally prepare your winter cloth and protection if you choose to travel during winter time. Many people struggle with dry patches, cracked, and irritated skin due to the cold weather that the winter months bring. 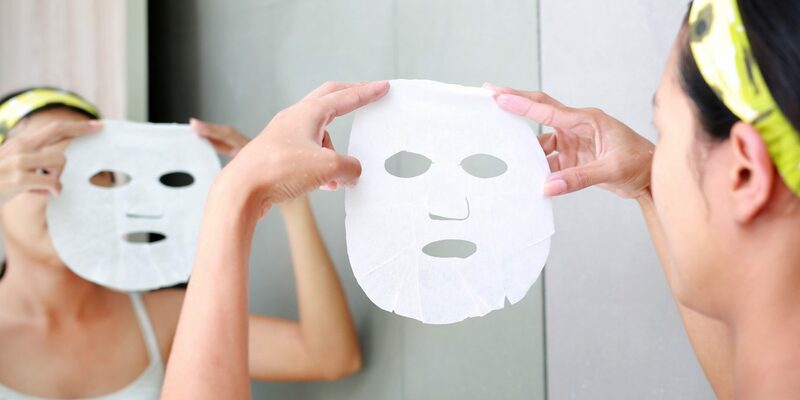 The article here will share about the facial mask sheet and why it is so popular among travelers. Dryness lead to dull dry crack of your skin. Scratching will leak your red rash. the outer layers of the skin become dry and dull, leading to pesky problems like flakes and cracks. Who requires the facial mask? Every traveler. Just like you need to pack your own cloth and personal care in your luggage back, facial mask should be in the travel pack list. Long haul flying on board the cabin, the air is highly pressured and dry. Besides drinking enough of water to keep your body hydrated, you should moisturize your skin externally. Don’t think about using the potable water from the cabin toilet’s water tap. A flight attendant revealed to Business Insider that you should never drink tap water mid-flight because the dirty little secret is that it can be pretty dirty. “Flight attendants will not drink hot water on the plane,” the attendant said. This is because while the water tanks do get cleaned, they’re never informed when or how often. By judging the way of the cleanliness of the potable water from the aircraft irregular water tank, would you use the water to as your skin external moisturizer? Why it is recommended to carry few sheets of facial mask along in your luggage? Light weight and handy; few sheets of mask will not consume too much of your luggage space and weight. Convenient to use; rip the pouch and put it on your face. Immediate effect after use; Masking needs only maximum 15 minutes after your bath and before you sleep. We have solutions for you to keep your skin moisture and hydrated, either on board of dry cabin condition or while traveling on winter destination. Click for private message Simon Sia.